Raluca Bem Neamu has a B.A. in History and Theory of Art and a M.A. in Audio-Video Communication. She also graduated from a professional international training in cultural management and from the summer school for museum professionals at New York University. 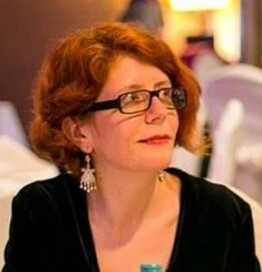 For more than 10 years she was the head of the Education, Public Relations and Cultural Projects Department of the National Museum of Art of Romania. In 2011 she founded the Da´DeCe (I Wonder Why) association with the mission to unlock cultural institutions to a rather unusual public: families with very small children. She is interested in innovative ways to make museums more attractive for the public.